Add a sleek look to your ceiling fan with this light kit design. It features a oil rubbed finish with alabaster glass. This is a universal light kit meant for use with most ceiling fans. Pull chain operable.- 13" wide x 4" high. - Takes two 60 watt bulbs (included).- Light kit for ceiling fan use only; pull chain operation.- Alabaster glass, oil rubbed bronze finish.- Fan switch-housing cap as pictured is part of the fan; not included with light kit.- Universal kit works with most ceiling fans. 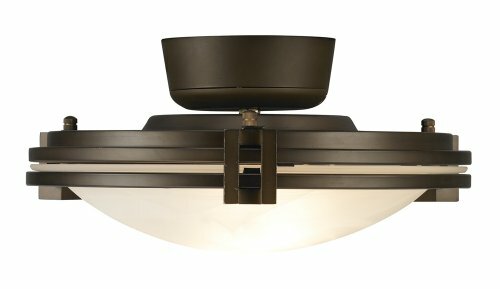 A compact, ceiling-mounted fan in a distinctive oil-rubbed bronze finish. At just 18" across, this fan is a great fit for smaller spaces like breakfast nooks or a workspace. No Oscillating options. Head may be adjusted manually up and down to get the perfect airflow in any room. 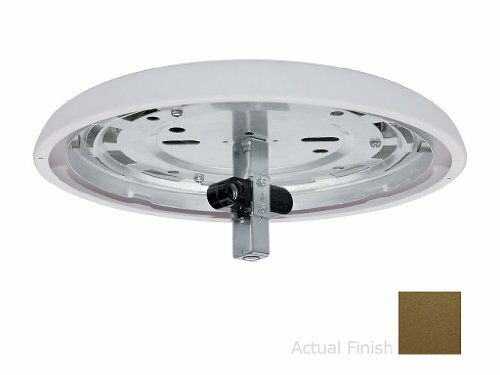 UL listed for Damp Locations.- Oil-rubbed bronze finish caged motor.- Five ABS blades.- 18" fan head.- 20 degree blade pitch.- Wall control included.- No oscillating options.- Manually head adjustable up and down.- UL listed for damp locations.- Not suitable for locations in humid climates with salt water exposure.- Fan height 20.4" ceiling to bottom of the fan (8" downrod)- 8" downrod.- Canopy 2.2" height and 5.5" wide.- Not suitable for sloped ceilings. Approved for damp locations, this Westinghouse Contempra 48-inch indoor/outdoor ceiling Fan has a rich oil rubbed bronze finish. Add traditional appeal to any area, while enjoying the cooling comfort. It features five weatherproof dark Walnut blades, adding a Rustic touch to the overall look of the Fan. 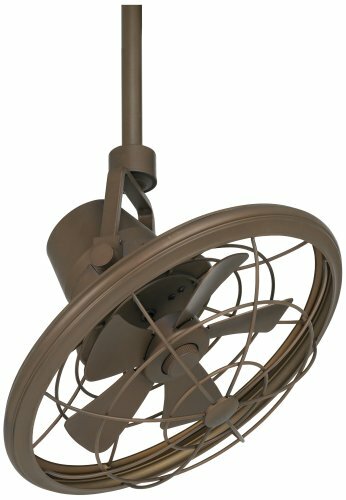 Designed especially for covered patios, decks and porches, the Contempra is a hugger-style Fan, ideal for standard and low ceilings. The stylish Contempra indoor/outdoor ceiling Fan is backed by a lifetime motor warranty and a two-year warranty on all other parts. Westinghouse is a trusted, global brand. Westinghouse knows lighting and offers products with exceptional quality, reliability and functionality. Product reference number 72170. A clean, elegant design that fits well with Mission or Tiffany casual decor. Features natural walnut veneer blades and a clean oil-rubbed bronze finish. Includes the etched opal glass light kit. The included Hand-held remote has an optional wall plate bracket (battery included). Light kit uses three 40 watt candelabra bulbs (included). 6" downrod included. Dual mounting hanging system allows for it to be hung from a downrod or flush, low profile with the ceiling.- Oil-rubbed bronze finish.- Natural walnut veneer blades- Includes hand-held remote.- Integrated etched opal glass light kit uses three 40 watt candelabra bulbs (included).- 52" blade span; 14 degree blade pitch.- Dual mountable.- Fan height 10-3/4" ceiling to blade (with 6" downrod).- Fan height 15-1/2" ceiling to bottom of light kit (with 6" downrod).- 6" downrod included.- Canopy 6" wide and 2" high.- From the Casa Vieja® ceiling fan collection. 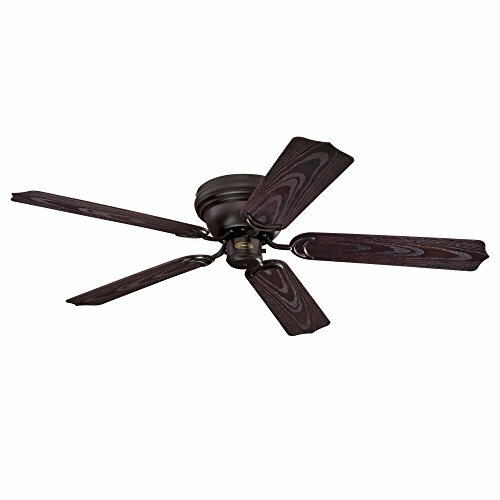 K2CA-73 Finish: Oil Rubbed Bronze Features: -Ceiling fan fitter.-Use with G106 G110 glass shade. Options: -Available in several finishes. Specifications: -Accommodates (2) 60W candelabra base bulb. Dimensions: -Overall dimensions: 6.8'' H x 13.2'' W x 13.3'' D.